In this fictional narrative, readers learn about how birds are born. Sequential text and colorful illustrations will help readers follow along as three birds hatch in a nest and their mother feeds them. 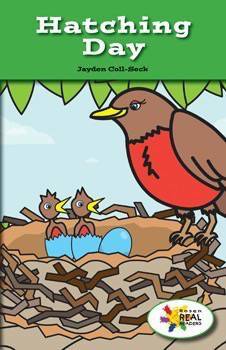 This fiction title is paired with the nonfiction title Robins Lay Eggs.